A single canister light was installed in a 15 x 44 inch curio cabinet. It did the job. 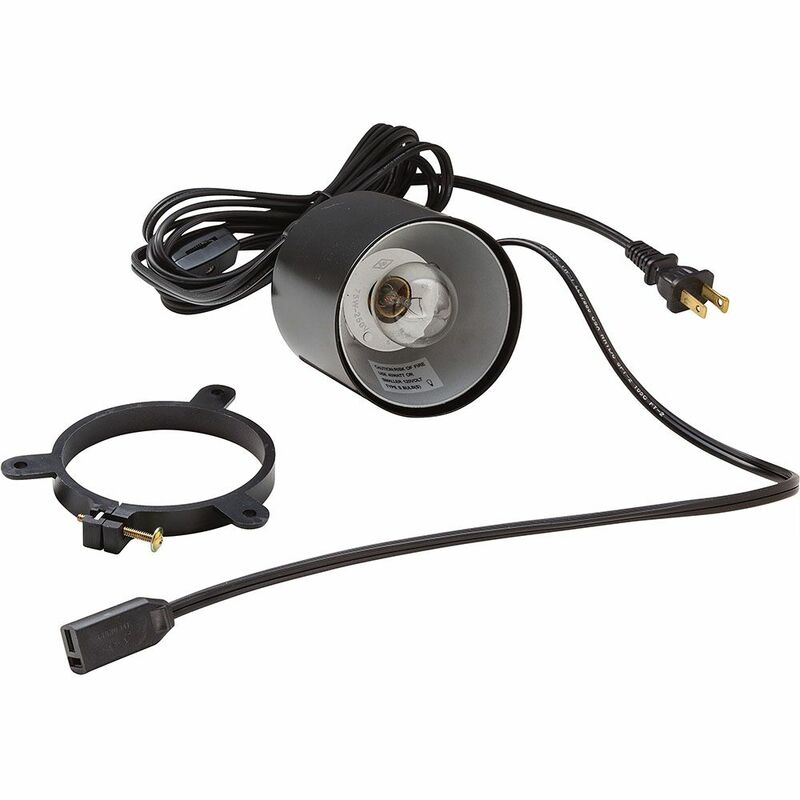 The only thing that should be available on this light is to offer an option for a single light application, avoiding a pigtail for additional lights. I couldn't find this light fixture replacement anywhere until I found it at Rockler online. It's exactly what I was looking for. And dealing with Rockler online was excellent. Thanks. 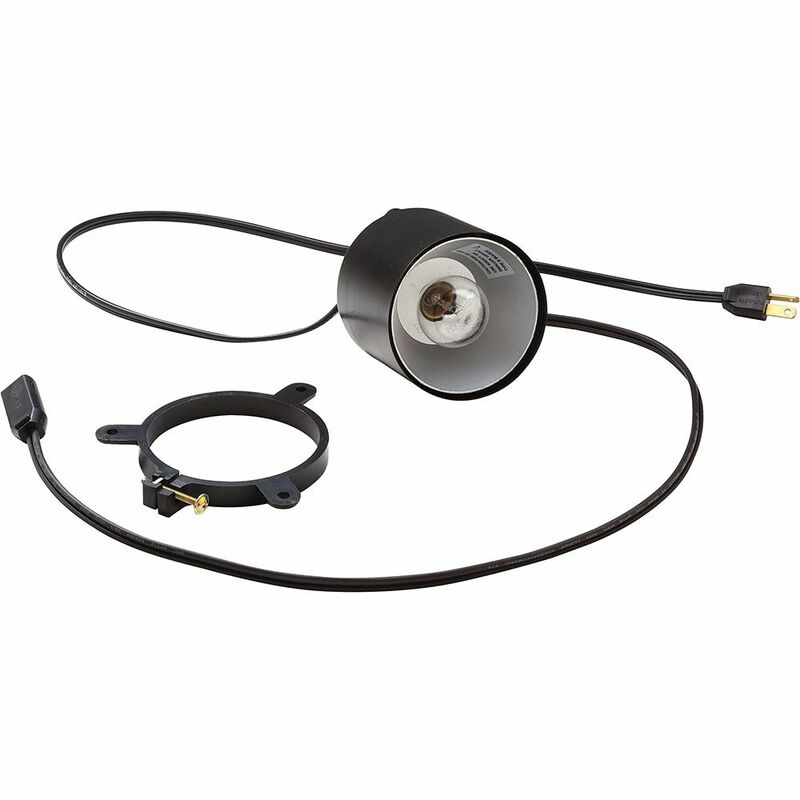 Purchased this product to replace an existing lighting setup. Fixture matched the premade opening perfectly. Came with all necessary hardware! light canisters, light bulbs, clamping hardware, screws and clamping bolts.Unit fit right in, plugs matched up perfectly, plugged into wall and voila, done. Very happy with the product line. Will definitely buy again, if I have more cabinet needs. I was skeptical about buying on-line for a lamp for my Pulaski Curio cabinet, but, I was extremely satisfied with the quality of this product and the ease of installation. I will probably continue doing business with your company. I rate this product 5 stars. Thank you so much. Converted entertainment center into a wet bar. These lights were a snap to install and added the perfect touch to my wetbar project. Thanks Rockler! Both master and dependent are virtually identical replacement components for factory furniture lighting that failed after 20 years. Easy drop-in and attachment into existing hole in cabinet. Easy height adjustment design of mounting bracket. Very pleased! I added two of these canister lights to the bridge of my entertainment center. The technical document gave me the information I needed to purchase the proper hole saw drill bit and once finished, the lights slipped in nicely. The entire job may have taken 15 minutes. Easy to install & great value. I installed these into a display/trophy case(48&quot; x 84&quot;) containing glass shelving and mirrored back and the illumination of just 2 of these lights is fantastic. 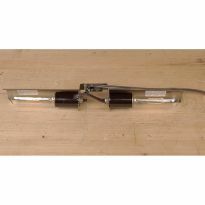 Easy to operate with the inline thumb switch and length of cord is great for any application. Easy installation replacement product for lights that had failed after 12 years. 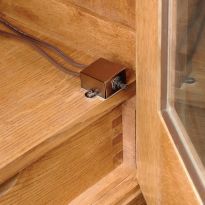 Installed in just minutes, easily dropping into existing hole in cabinet and tightening the mounting bracket. Nicer looking than original product. Standardized lamp housing, dropped right in. A djustable height mounting bracket. 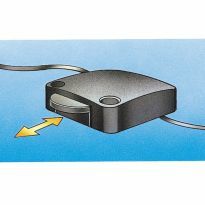 In-line thumb switch can use in multiple lamp system. Good quality, good price good service. 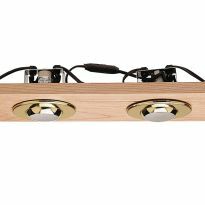 replacement for lights in pier system type headboard. To replace the one that the reflector burned out of and as spares for my other lights. Match lights that are no longer working. I need only one light for my cabinet. 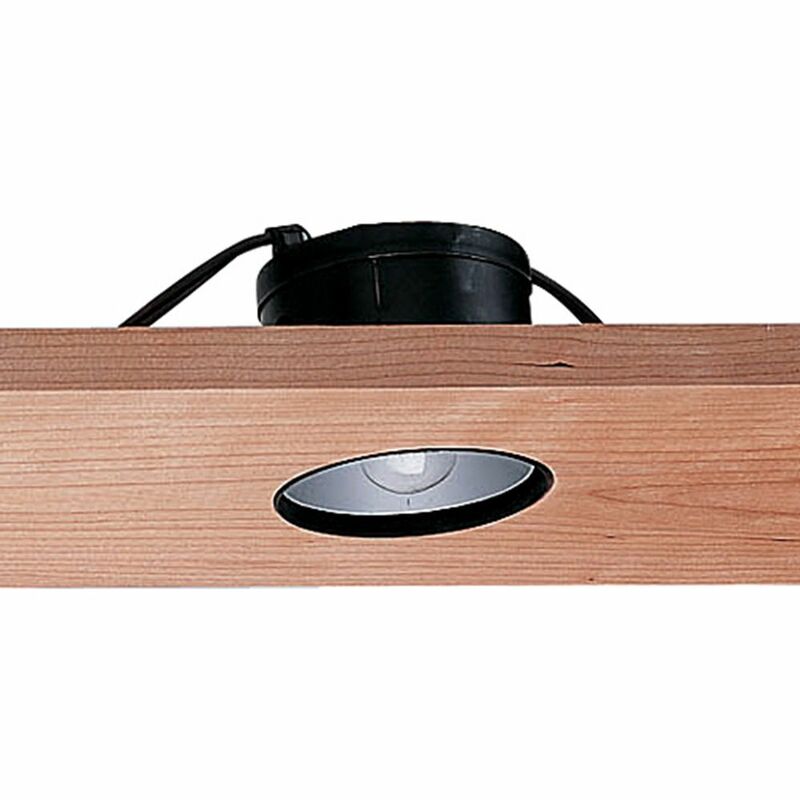 Should I order the master inset light fixture for my needs or the dependent light fixture? BEST ANSWER: I bough the light and wired it into the original set. It works well but the light socket did not match the other two for size as they are a bit smaller. It is the standard size, just put the standard bulb in. No need to change the whole set. You should get a master. The dependent unit doesn't come with an outlet plug or switch, so you would have to rewire it to plug it in and add an on/off switch. I believe you will need the master, as it has the cord to plug in to the outlet. I would order the one light only if are 100% sure you never need another light. is this can be use inside the china cabinet?